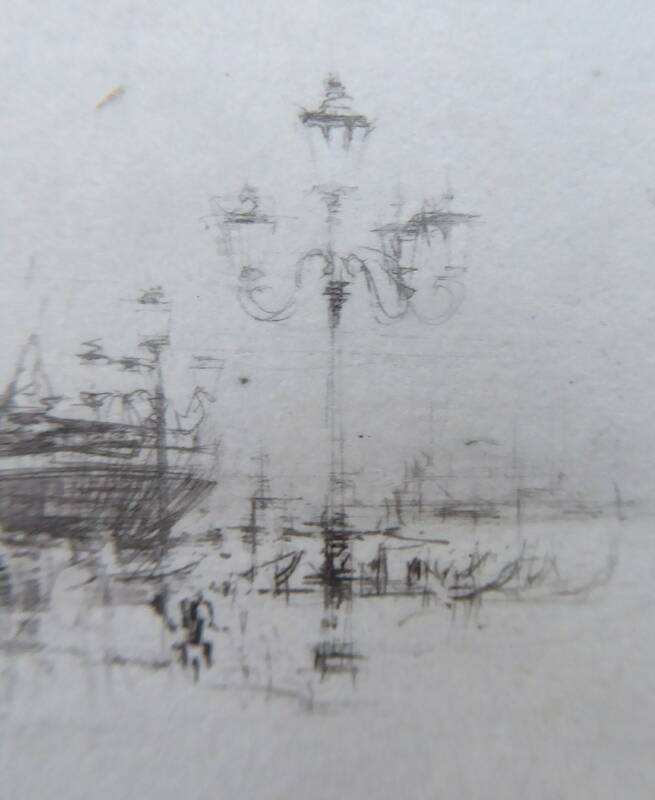 This is one of a few charming little etchings by William Walcot that I am listing from my own personal collection. 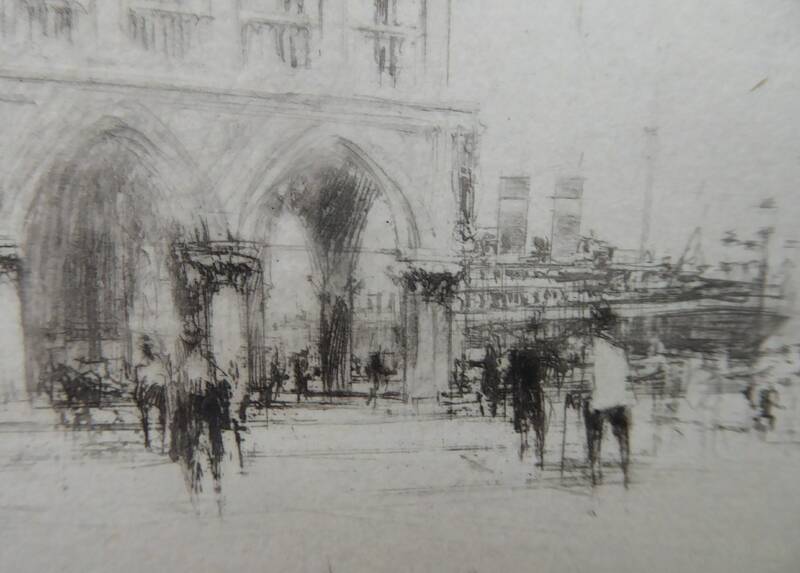 Each etching is pencil signed, in excellent antique condition and beautifully presented. Each has a new fresh cream coloured mount and a new frame with a simple black moulding. Ready to hang on your wall. The exceptional condition has been taken into account in my pricing. 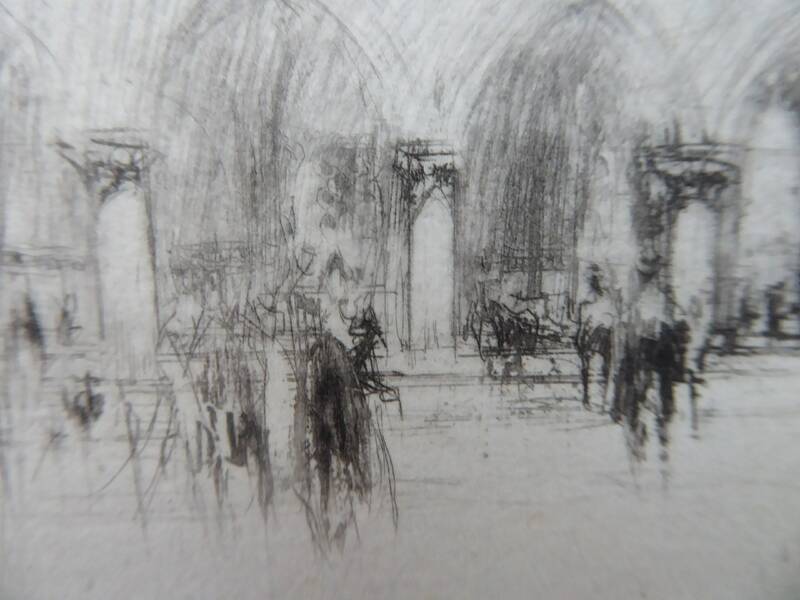 This little gem of an etching drypoint is very ethereal in feel. 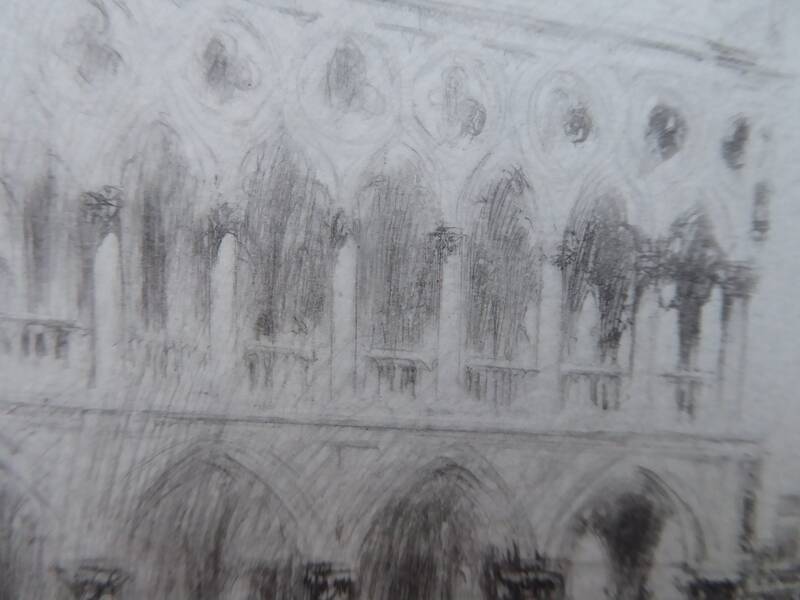 It shows a view of the Doge's Palace in St Mark's Square in Venice. 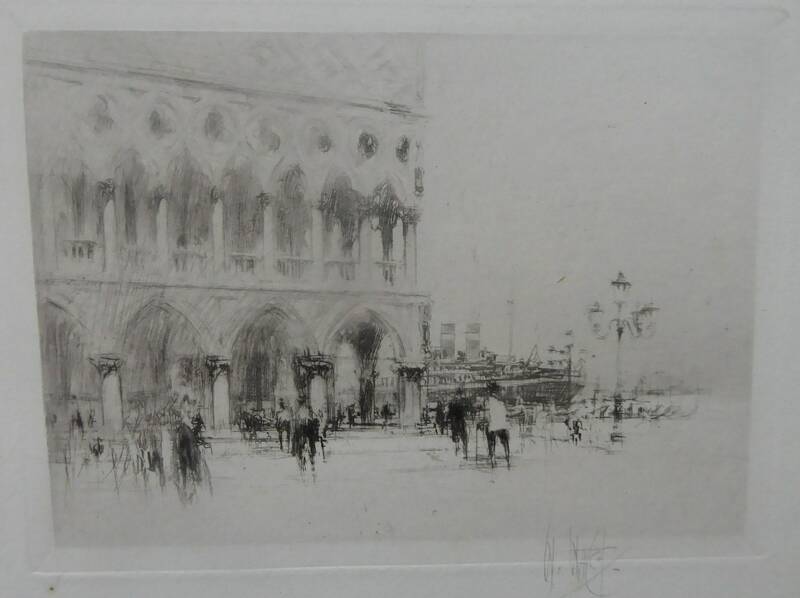 This print comes from a small series of four etchings made by Walcot called "The Venice Set", which was published in 1920. 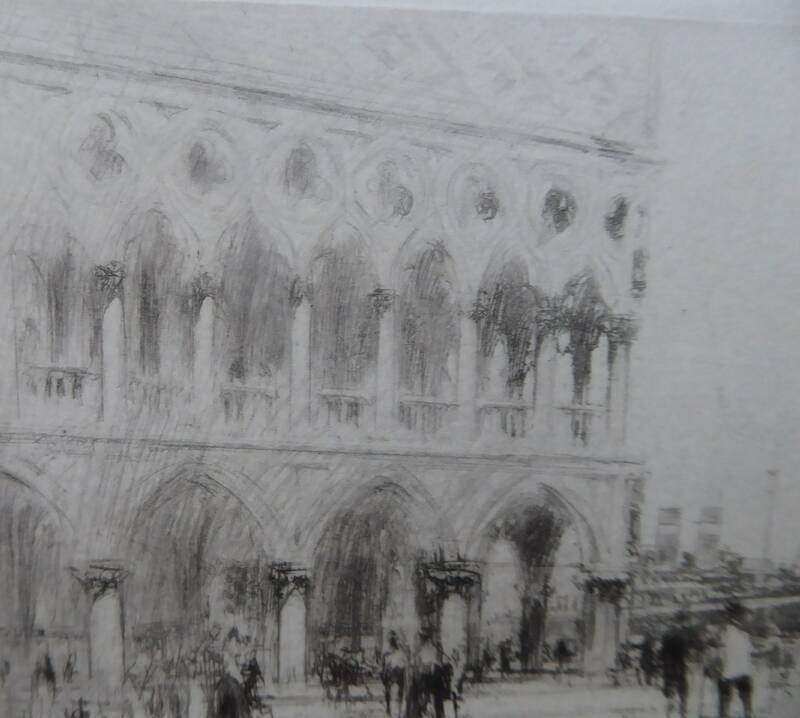 Walcot has shown the corner of the great Renaissance Palace and he has interestingly added into the background a large ocean liner which is passing by the entrance to the Grand Canal in the distance. Perhaps one of the earliest images of tourism and cruise ships. 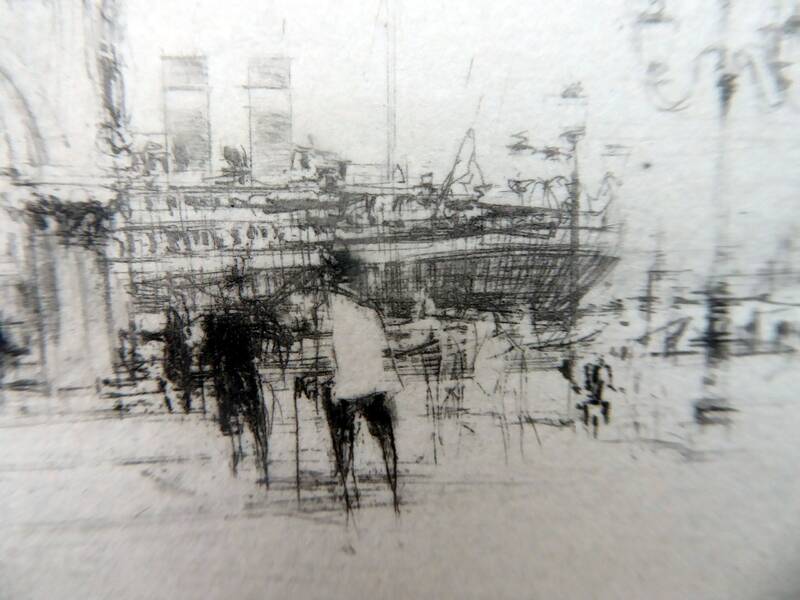 The image measures 9 x 12.5 cm and is pencil signed. An impression is in the collection of the National Gallery of Scotland in Edinburgh. 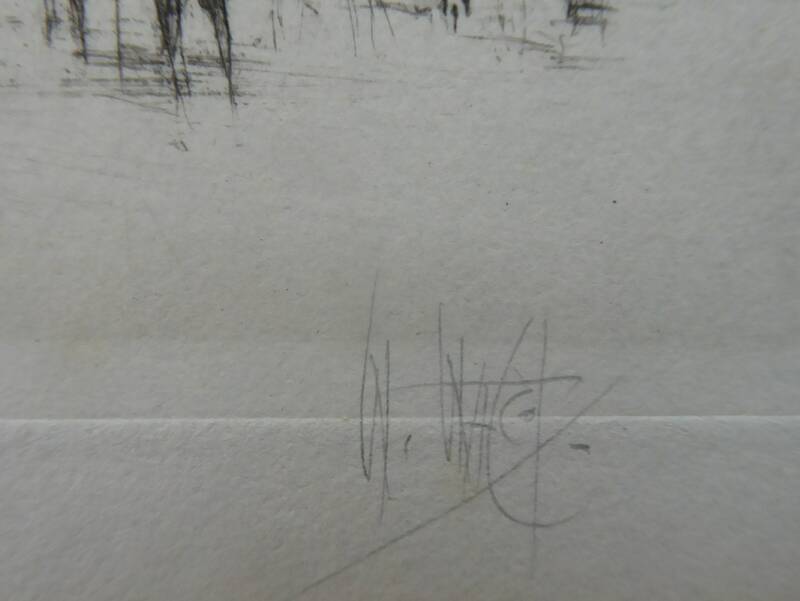 A particularly fine print by this celebrated printmaker and in such fine condition.